For Teachers: Should You List Your Studio in a Music Teacher Directory? Remember these? 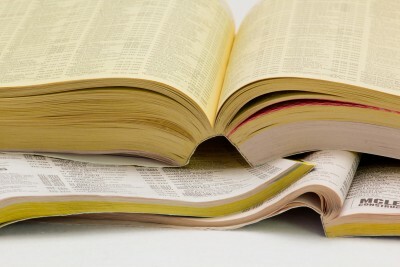 Online teacher directories are replacing these, but do they work? If you have done a Google search for “private music lessons”, you may notice that there are several sites out there that list teachers by instrument and geographic area. These online directories allow you to browse through their bios and find the right teacher for your needs. But the question is, should you list your studio in a music teacher directory? Do they actually generate any new business? PrivateLessons and LessonMaestro are purely directories which offer page profiles of each teacher and you can search for them by location and geographic location. The profiles can be as extensive as you would like where you can list all the types of lessons you teach, your teaching philosophy, your education/certification, references, events, articles, links to your website and more. You can also list your prices and schedule. The potential student can then contact the teacher directly through an email link on the profile. To be listed in these directories you only need to pay a monthly or yearly fee – from $4.99 per month to $99 per year. TakeLessons is more of a broker. They also have profiles of each teacher which are as extensive, if not more than the other sites mentioned, searchable by instrument and geographic location, but they act as a middle man between the potential student and the teacher. The student cannot contact the teacher directly until they have booked and paid for their first lesson. And if the student signs up for lessons with the teacher, they are actually signing up with TakeLessons, not directly with you. This means that TakeLessons sets your lesson fee at their discretion depending on location and teacher qualifications. TakeLessons handles all of the payments and sends you a check for lessons that you have taught. There is no fee to join TakeLessons but you essentially have to apply to be “hired.” You fill out an online application and if they decide you would be a good fit, they do an extensive background and reference check. They list the basic prerequisites to teach with them – a bachelors degree in music, at least one year of teaching experience, at least 18 years old, no criminal offenses, etc. Other directories I have not mentioned are the directories that are offered through professional organizations that you may be affiliated with (MTNA, NATS, NYSTA, etc.). With your yearly dues, you get listed on their websites. They may give you an extensive profile page (you might have to pay a little extra for it) or just list you by geographic location with contact information. This is a perk of membership. How effective are these online directories? Do your research. Having an effective presence online means that when anyone searches for your particular service or business, you are listed in the top three search choices on the first page. Most people will look no further than the top three choices and they will certainly not search through 100 pages to find what they are looking for. I did three searches in Google – “private music lessons,” “private music teachers,” and “piano lessons in Austin, TX.” For each one of these searches, TakeLessons was listed as either the number one ad at the top of the page or in the top three of the organic searches. PrivateLessons was listed on page two of one of those keywords and LessonMaestro was not listed on the first 6 search pages. So that tells you that most likely TakeLessons is getting a lot of traffic. Whether that traffic converts into sales is not known upfront. In order to see whether it is worth it to be listed in one of the paid directories, you should contact some of the teachers in your area that are listed on the sites. Ask them how many students they have gotten from their listings. Ask them if they plan on extending their listing or considering moving on. Ask them if they do any other further promotion in order to make their listings convert into students (advertising on social media, networking, etc.). Unfortunately with TakeLessons, you will not be able to contact a teacher directly but you could certainly try to contact their customer service department and get some statistics from them depending on your location and instrument. You may get a lot of calls but do you really want them? Say these online directories are the magic pill in order for you to fill your studio to the brim and have a waiting list. The people that are doing online searches for music teachers most likely have not had much experience with private music lessons. They may be parents who want to start their children in piano lessons or adults who have always dreamed of taking voice lessons but never had the time or courage or money to do so before. These can be wonderful people to work with! But if you want to fill your studio with only the most talented musicians who are on the performance track, these directories might not be the way to market yourself. For instance, TakeLessons says that you must agree to teach all levels of students from age 5 to adult. If you are not interested (or don’t feel comfortable) with working with young children, TakeLessons might not be the place to advertise. On the other directories, you can specify the ideal student you would like to teach (age, experience level, style). And then when you contact the potential student from an inquiry, you can interview them and see if you want to take them on as a student. The fact of the matter is that you are always going to get new ideal students from referrals that your current ideal students give. Online directories may not consistently get you your dream studio. I just recently received an email from the head of a music program in my area who said he found my information in an online directory of a professional organization that I belong to. They are looking for a new voice teacher and wanted to know if I would come in and interview. So I got a lead! But that is the first contact I have gotten from that listing of which I have been a part of for the last year. These directories can be helpful but the success depends on the marketing of the directory itself which you don’t have any control over. That being said, marketing is marketing and successful marketing means diversification. Do your research and find one or two directories that you feel might bring you the most leads. Try it out for a year and then re-evaluate to see if it is worth the investment. But in addition, make sure you develop your own online presence with a personal website. Today’s prospective students are far more savvy and they will research more than in previous generations because they can with the advances of technology. If you have a good website online in addition to these directories, it will represent you as an authority and people trust authorities. They will be more likely to call you if they think you are an authority. As an aside, if you are interested in trying out TakeLessons to build up your student base, click here to receive a special discount. Once you apply, if you are accepted into their pool of teachers, your certification fee will be waived. So do you use any of these directories? Have they worked for you? Let us know in the comments below. Tagged marketing your studio, private music teacher, promoting your studio. Bookmark the permalink. 11 Responses to For Teachers: Should You List Your Studio in a Music Teacher Directory? Great post! I stumbled across your blog while searching for some resources for my music lessons. Another great website that I might suggest is onLessons.com. It’s a free website where music teachers can find new students, schedule their students, and manage other information details about their students. And unlike some of the other websites you listed above, they don’t take a commission or fee from your lessons. Just wanted to pass it along! Thanks again for this great blog. I have bookmarked it! 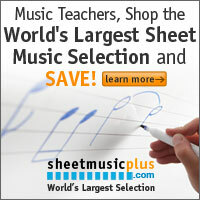 Also check out MusicLessons.com… I think they have the best free music teacher directory on the Internet. http://www.ilovemusiclessons.com seems to be growing pretty quickly. They just launched. David K’s Music School specializes in all types of music lessons. From Piano to guitar, woodwinds to voice, we have it all. If you have done a Google search for “private music lessons”, you may notice that there are several sites out there that list teachers by instrument and geographic area, but MusicProfessor (https://www.musicprofessor.com) one of the best source to learn music online from well know music professors and instructors. I work as a music teacher for TakeLessons. I respectfully submit two corrections. TakeLessons does not “set my lesson fee” I set my own lesson rate for every single instrument/subject. And TakeLessons allows the teacher to choose which ages she’d like to teach. We offer piano lessons, violin, drum classes, guitar, voice classes, art. Visit us at http://www.almadenschool.com/ for more details. I’ve found a few students through Piano Studio Pro: https://www.pianostudiopro.com They are a relatively new directory, but I’ve had more success with them than other piano teacher directories which are basically glorified phone books and look like they haven’t been updated since the ’90s. 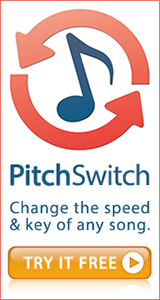 I’d recommend giving it a shot if you’re trying to grow your piano studio. I’m searching for directories and I find your blog. I like your suggestions and tips. Also thanks to other comments who suggested other directories for music teacgers. I’m gonna check them out. You’re also right that some directories will give you leads or students and some will not. It’s really important to do research first before we go for any paid or free directories.